J.M. Snyder » No Place Like Home ~ new Vic & Matt! No Place Like Home ~ new Vic & Matt! 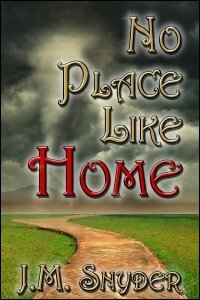 My latest e-book release is No Place Like Home, a fun little romp with my superhero characters, Vic and Matt. A late season hurricane bears down on Richmond, causing power outages and property damage. When the doggie day care closes early, Matt leaves work to take Sadie home. Unfortunately, a sudden tornado and washed out road take him on a detour he didn’t expect. His beloved Jaguar skids out of control and off the road, leaving Matt unconscious in a ditch. As Matt struggles to find his way home, Vic has a much more pressing problem — locating his lover, who has suddenly gone missing in a violent storm. Can the two men find each other again before it’s too late? Read excerpts or buy these e-books today!